Political commentators cannot explain the surprising success of Donald Trump in advancing towards the Republican nomination for President. But those of you who have followed this blog over the years will recognize Trump's behavior as showing the chimpanzee politics of an ambitious male seeking alpha dominance. We can easily understand what Trump is doing by reading Frans de Waal's Chimpanzee Politics and Jane Goodall's In the Shadow of Man (1971) and The Chimpanzees of Gombe (1986). De Waal described the political behavior of a captive group of chimps in a zoo in the Netherlands, while Goodall described the political life of the wild chimps in the Gombe Reserve of Tanzania. 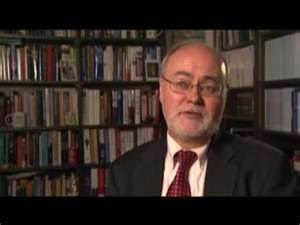 When Newt Gingrich became Speaker of the House of Representatives in 1994, he recommended that freshmen Republican representatives read de Waal's Chimpanzee Politics as a good book for understanding Washington politics. He identified himself as the dominant chimp, and many observers noticed the similarities between the Republican power-takeover in 1994 and de Waal's depictions of his power-striving chimps. Now we see Trump attempting another power-takeover through some of the same techniques used by chimps who become alpha males. In a recent article in New Scientist magazine, Christopher Boehm has compared Trump to the Gombe chimp named Mike, who suddenly became alpha male when he incorporated new techniques into his charging displays of bluffing intimidation. Mike discovered that making lots of noise with empty kerosene cans could intimidate the high-ranking males. Trump has discovered that loudly yelling insults at anyone who challenges him is so shocking and flamboyant that he becomes the center of attention for voters, and his competitors are thrown into stunned confusion. This should show us that much of political competition has little to do with intellectual debates over public policy and much more to do with gut-feelings about who looks dominant and who looks subordinate, gut-feelings rooted in our evolved primate political psychology. We often assume that competition for high social rank among political animals is settled by physical violence, so that the bigger and stronger individual prevails. But while physical aggressiveness is important, there are many other factors that contribute to determining the dominance hierarchy in a group of chimps. Males tend to reach their peak in the hierarchy between age twenty and twenty-six years. Goodall explains: "Factors other than age, which determine the position of a male in the dominance hierarchy include physical fitness, aggressiveness, skill at fighting, ability to form coalitions, intelligence, and a number of personality factors such as boldness and determination. . . . At Gombe some males strive with much energy to better their social status over a period of years; others work hard for a short while, but give up if they encounter a serious setback; a few seem remarkably unconcerned about their social rank" (415). When Trump dismissed Jeb Bush as a "low energy" candidate, presumably Trump was identifying him as someone who lacked the necessary intensity in striving for dominance. 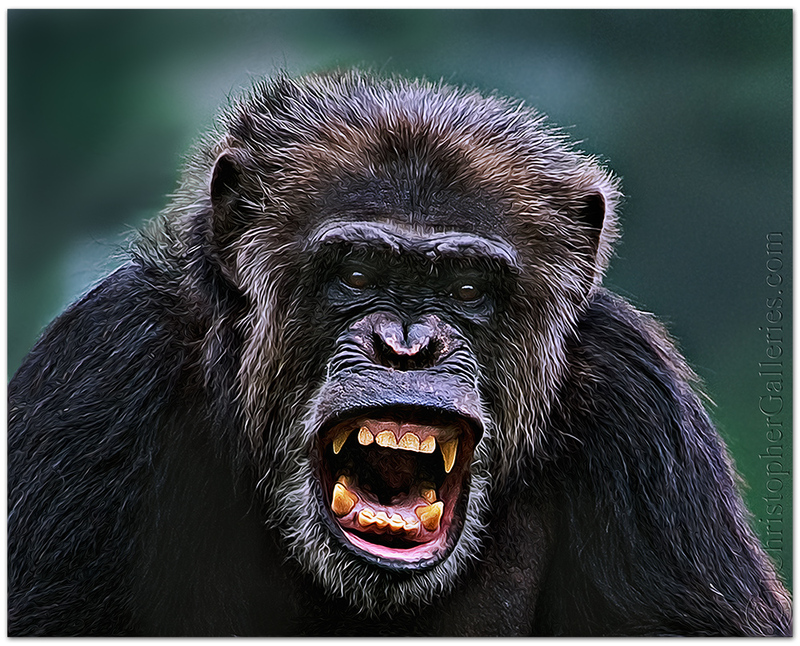 Chimp male canine teeth are powerful weapons for killing. But remarkably, chimp fighting almost never leads to killing, except when male chimps are attacking chimps outside their community. Fighting for dominance within a community is carried out through the bluffing of spectacular, charging displays of intimidation. In the Gombe community, in 1961, Goliath was the alpha male. In 1964, Mike challenged and defeated Goliath through his intelligent use of noisy cans in his charging displays. In 1971, Mike was overthrown by Humphrey. All of these individuals shared one clear trait--an intensely strong desire to dominate their fellow chimps. "Mike's deliberate planning was a striking aspect of his rise to alpha status. Once, for example, as a group of six adult males groomed about 10 meters away, Mike, after watching them for six minutes, got up and moved toward my tent. His hair was sleek and he showed no signs of any visible tension. he picked up two empty cans and, carrying them by their handles, one in each hand, walked (upright) back to his previous place, sat, and stared at the other males, who at that time were all higher ranking than himself. There were still grooming quietly and had paid no attention to him. After a moment Mike began to rock almost imperceptibly from side to side, his hair very slightly erect. The other males continued to ignore him. Gradually Mike rocked more vigorously, his hair became fully erect, and uttering pant-hoots he suddenly charged directly toward his superiors, hitting the cans ahead of him. The other males fled. Sometimes Mike repeated this performance as many as four times in succession, waiting until his rivals had started to groom once more before again charging toward them. When he eventually stopped (often in the precise spot where the other males had been sitting), they sometimes returned and with submissive gestures began to groom Mike." "Whereas most directed displays are performed in silence, Mike's were almost always accompanied by pant-hoots; it is as though he was emphasizing his identity in connection with the noise of the racketing cans. Since he learned to keep as many as three banging and bounding ahead of him as he charged, flat out, toward his rivals, it is scarcely surprising that his bluff was so effective" (1986, 426). Notice that the higher ranking males initially tried to ignore Mike's noisy displays, just as Trump's Republican competitors tried to ignore him and hoped that he would fade away. But now that Trump's display behavior has made him the center of attention and the leading vote-getter, his competitors must pay attention, and some are beginning to become submissive to him. "First one male and then the other displayed, and each performance seemed to be more vigorous, more spectacular than the one preceding it. Yet during all that time, apart from occasionally hitting one another with the ends of the branches they swayed, neither chimpanzee actually attacked the other. Unexpectedly, after an extra long pause, it looked as if Goliath's nerves had broken. He rushed up to Mike, crouched beside him with loud, nervous pant-grunts, and began to groom him with feverish intensity. For a few moments Mike ignored Goliath completely. Suddenly he turned and, with a vigor almost matching Goliath's, began to groom his vanquished rival. There they sat, grooming each other without pause for over an hour." "That was the last real duel between the two males. From then on it seemed that Goliath accepted Mike's superiority, and a strangely intense relationship grew up between the two. They often greeted one another with much display of emotion, embracing or patting one another, kissing each other in the neck; afterward they usually started grooming each other. During these grooming sessions it appeared that the tension between them was eased, soothed by the close, friendly physical contact. Afterward they sometimes fed or rested quite close to each other, looking peaceful and relaxed as though the bitter rivalry of the past had never been" (1971, 116-117). Similarly, within a few days, Chris Christie went from being Trump's competitor for dominance to being his submissive friend, who now grooms Trump with intensity. "Led by David Greybeard, who was quickly joined by Goliath, an alliance of five senior males advanced threateningly on Mike. He turned and fled, seeking refuge up a tree. The five followed, displaying and uttering fierce waa-barks, and it seemed that Mike would lose his newly acquired status. Instead, as they pursed him into the branches, he suddenly turned on them--and all five retreated to the ground! Mike's victory was particularly impressive in that even his suspected sibling, J.B., joined in against him. 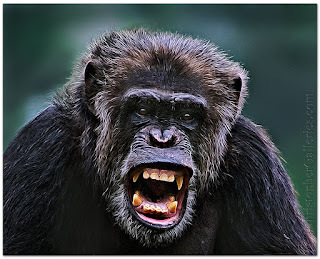 The fact that as many as five angry adult males can be intimidated by one determined individual, quite on his own, is another example of the importance of psychological factors in chimpanzee dominance interactions. It implies also that the lone male who dares to face such opposition is either stupid (cannot imagine the possible consequences) or has rather a large share of boldness--a quality that perhaps comes close to courage" (1986, 428-29). Although Goodall might seem to say here that the alpha chimp stands alone as an absolute despot, Goodall, de Waal, and other primatologists have all recognized that the alpha chimp gains and holds power only with the support of other high-ranking males and of the females. De Waal notes that chimpanzee dominance depends on the support of a "minimum winning coalition." In the group studied by de Waal, Yeroen had been the alpha male until he was overthrown by Luit. But then once Yeroen formed a coalition with Nikkie, which won the support of the females, Luit fell from power. Similarly, human political dominance depends on a minimum winning coalition. Pure one-man rule is impossible, because even the most powerful despot needs a coalition of supporters, who must believe that the despot's rule serves their interests. The difference between a dictatorship and a democracy is in the size of the minimum winning coalition. In a dictatorship, the minimum winning coalition is small. So, for example, Kim Jong-un's power in North Korea probably depends on his being supported by a few hundred high-ranking people, who could overthrow him if they became dissatisfied with him. In a democracy, the minimum winning coalition is larger. So, for Trump to become President, he must first win a majority of the delegates to the Republican Party Presidential Convention, and then he must win a majority of the Electoral College electors. To do this, he will have to convince a large coalition of voters that his election will benefit them. And thus the debate over public policy does become important, because the voters must be persuaded that the policies likely to be promoted by the President will serve their interests, which they will see as the public good of the nation. Trump knows this, of course. And that's why he brags about his high poll numbers. He wants to be popular, and to be popular he must persuade people that they will be--as he often says--"very happy" with his policies as President. His opponents can then challenge these claims. 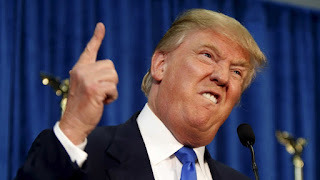 And in the last Republican debate, one could see that Trump was visibly uncomfortable when he was challenged with evidence that his proposed policies are unlikely to work well, and that some of his business enterprises (like Trump University) have fraudulently exploited customers. One of the best videos on Trump that I have seen is from "Last Week Tonight with John Oliver." Some of my previous posts on chimp politics can be found here, here, here, here, here, here, and here. Fascinating. I wonder what would happen if one of the Republican candidates were physically to knock Trump out in front of a crowd or cameras? Would this change the public's perception of his dominance? Robert Ardrey and Konrad Lorenz explained much human behavior by pointing out parallels with primates. Chimps are interesting all right but the Trump phenomenon is more about chumps than chimps. The chumps are the ones in the Republican party, they’re called the GOP establishment, who were elected on promises to stop Obama and then instead joined with Obama in some instances and never opposed Obama on anything. They’re chumps because they betrayed people who trusted them and those people are disgusted with them. They see Trump as the guy standing up to the chumps who let them down. Chimps are interesting, but politics this year is about chumps. The chumps are the mindless Americans who have become followers of a vulgar demagogue.